Industry veteran exits Microsoft-focused cloud integrator. Nicki Page has resigned as CEO of MOQ, with the industry veteran exiting the cloud integrator after over two years in the hot seat. Effective May 31, Page will be replaced by Joe D’Addio as managing director and CEO, who takes charge of the business following roles as executive director and COO. “I strongly believe this is the perfect time to step back and hand the reigns over for its next phase of growth and maturity,” Page said in a statement released via the ASX. Terms of the transition will see Page - who has departed to “pursue new opportunities” - working with the executive team to ensure a smooth handover of the leadership in the weeks ahead. “On behalf of the Board of MOQ Limited and employees, I would sincerely like to thank Nicki for her outstanding contribution as CEO through a period where MOQ completed four acquisitions to build a company turning over more than $50m p.a.,” MOQ chairman, David Shein, said. In taking over from Page, D’Addio brings over 35 years of experience in leading, managing and growing IT professional services and technology consulting organisations in Australia. D’Addio has held key management and executive director positions while leading IT businesses within Com Tech Communications and Dimension Data. In addition, D’Addio was also co-founder of Technology Effect, the platform asset in the formation of MOQdigital, acquired by MOQ in May 2015. “Joe has been instrumental in driving the strategy and strong growth we have seen from MOQdigital over the last two years,” Shein added. With over 20 years in the IT industry in both the UK and Australia, Page originally started out as a computer systems and networking engineer. Having joined Breeze in 2009 as a business development manager, Page soon advanced up the ranks to take over as director and CEO of the company in 2012. With a background in technical and sales with companies such as KAZ Computing and Microsoft, Page spearheaded efforts to develop sales, marketing and business strategies for Breeze, as the company transitioned from a traditional services organisation to a cloud solutions and products business. As reported by ARN, Breeze merged with fellow cloud provider Technology Effect before being acquired by Montech Holdings in December 2014, which subsequently became MOQ Limited in July 2016. During her tenure as CEO of MOQ, Page created a company capable of holding its own on both local and global stages, following Australian and worldwide recognition as a leading Microsoft partner. Recognised on stage during the 2016 Microsoft Worldwide Partner Conference in Toronto, MOQdigital took out the 2016 Microsoft Country Partner of the Year Award for Australia, among a global field of leading partners globally. As a key figure within the Australian channel, Page also took out the Entrepreneur Award at the 2014 ARN Women In ICT Awards, in recognition of her start-up mentality and approach to business. Specifically, the WIICTA judging panel said Page was recognised for her "courage to leave a secure job with Microsoft to pivot and transform the business model of Breeze" - a Microsoft training partner - and get it "back on track". Within two years, Page had the system integrator business growing again from a start-up phase to recognising 30-40 per cent year-on-year growth. As outlined during the Awards, Page also identified the need to innovate and create new business revenue streams and therefore led the Breeze team through a cloud business transformation. 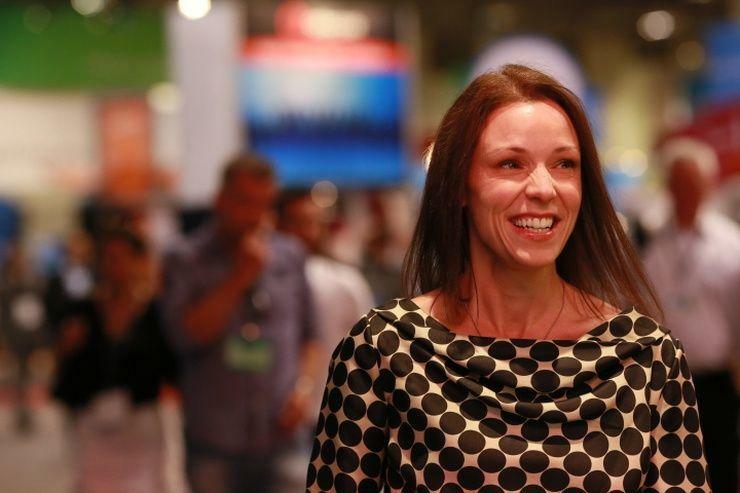 The news comes less than 24 hours after fellow Microsoft partner, Insight Enterprises, revealed the departure of regional manager director, Andrea Della Mattea. As reported first by ARN, Della Mattea joins the vendor as the new vice president of Asia Pacific, taking charge of regional operations from 1 July, 2017.